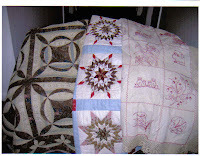 I enjoy sharing my antique quilts and present a variety of quilt history trunk shows/ bed turnings. 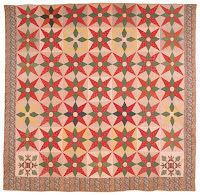 The trunk show can be a general overview (30+ quilt masterpieces from 1800 to 1900) or very tailored (30+ antique stars, signature quilts or red/green appliques), depending on your interests. 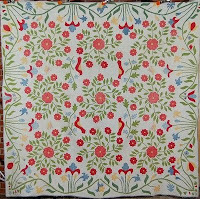 *Any of the lectures can be expanded to in-depth/hands-on intensive 3 or 6-hour quilt study classes. One is listed at the end of this page. Come see how fun history can be when you time travel by looking at quilts and learning at the same time. Learn the basics of dating quilts, by fabrics, style, etc. and the basics of valuing quilts. Curious if that quilt you found in grandma’s trunk is a treasure from 1830 or 1930? 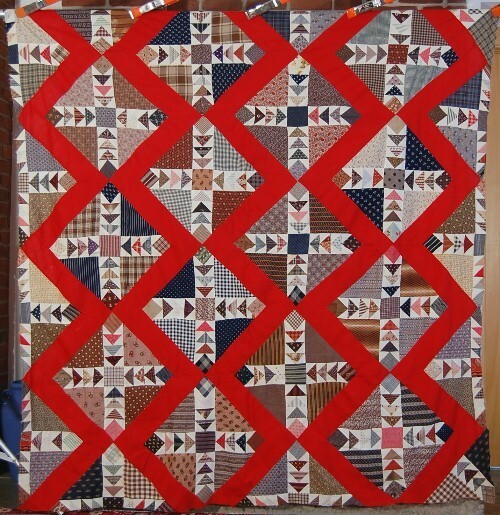 Did you pick up a quilt at a yard sale and now wonder if you got a great deal, is it worth a small fortune? Learn the clues to unraveling quilt secrets from a certified quilt appraiser. Quilts really talk to you if you know how to listen to them. 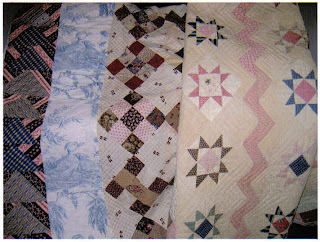 Come see antique and vintage quilts from 1830-1940, learn about the history of quilts and America from the early years to the Depression Era. See the changes in style and society and the economy-- by comparing quilt patterns and differences in quilting from the 1800's to the 1900's. I'll show at least 12 different patterns (at least 2 examples of each) from Log Cabins to Grandmother Flower Gardens, to Rocky Roads to Kansas, etc. You'll be able to see the changes in styles, methods, patterns, and fabrics over a very busy century. 100 years of signature/album quilts (1840-1940). 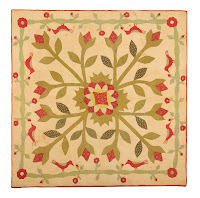 Come see a large variety of inscribed album quilts in a variety of block and applique patterns. Mainly from PA including a published 1848 Quaker quilt and several rolling stone quilts including unusual fraktur (PA German script). There's also a Biblical quotation quilt from the Civil War and 1930s Kansas album featuring Miss Sunshine Brown among others. It is amazing what you can learn from studying these album quilts spanning 100 years. Also, learn tips on researching names on your own signature quilts. 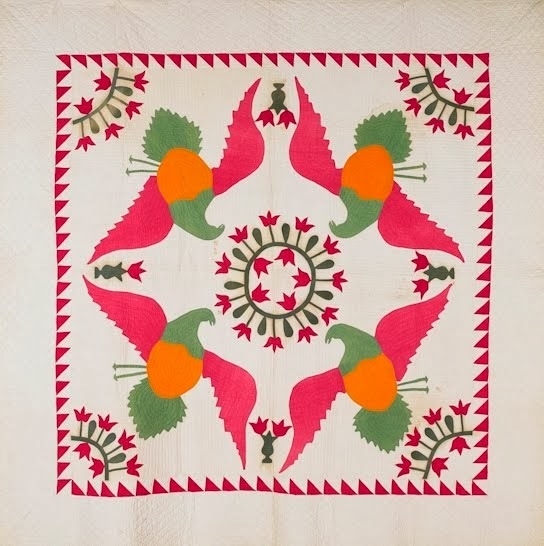 I'll share some of the most beautiful quilts of the 19th Century: floral and bird appliques and fancy floral and bird fabrics too. 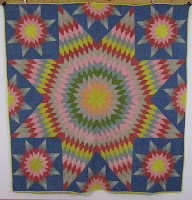 Also some striking star quilts and other amazing treasures. 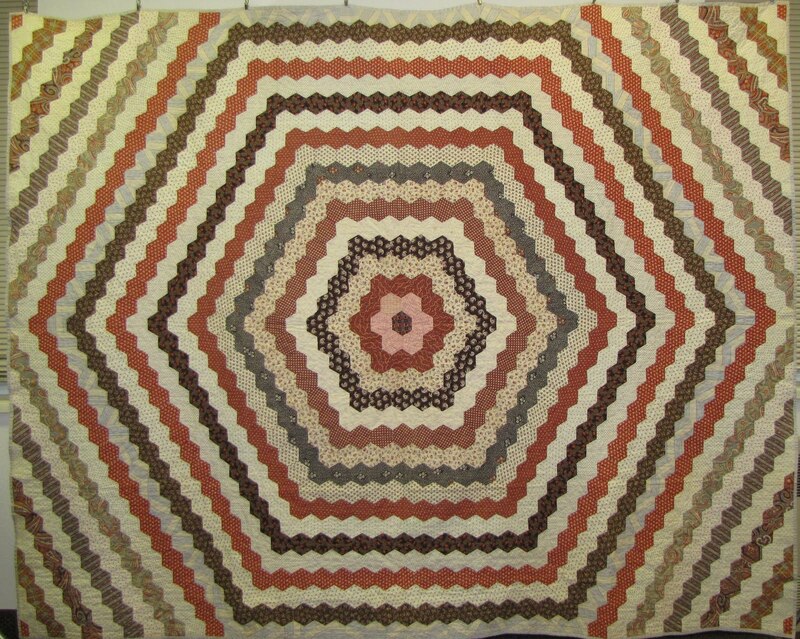 Hexagons seem so new and modern, but did you know the pattern has been used in quilts for 175 years. Chevrons and zigzag setting are also quite contemporary but they’ve really been around for 200 years. 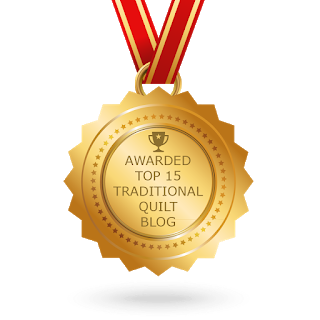 Want to step up your quilt making? Why struggle to reinvent the wheel when you can learn from the triumphs of early quilters. 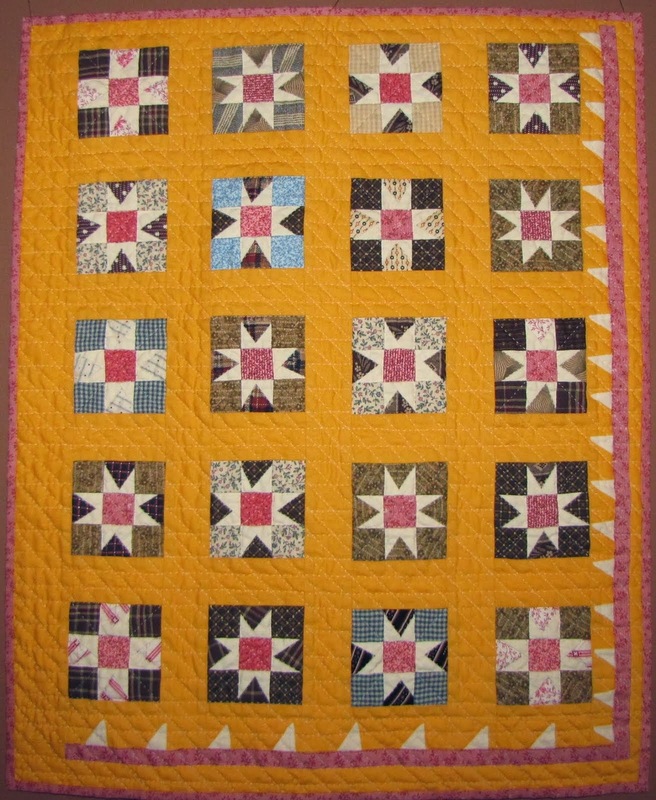 Come discover how to make quilts that stand the test of time. 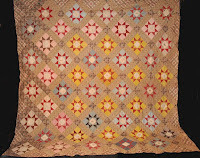 An added bonus: you get to look at a lot of beautiful antique quilts. If you’ve always liked looking at antique quilts but want to learn more about them, this is the class for you. See how early fabrics were printed, when certain colors and styles were used, types of quilting and block patterns, etc. by looking at the actual quilts/fabrics. More than a trunk show, this will be an in-depth study of a number of early quilts, including several with fabrics from as early as 1790. Expenses: travel (mileage/airfare/luggage) and hotel accommodations.